It’s the middle of the week, and today my son’s lunchbox came home from school and he had not even touched his peanut butter and jelly sandwich. This is one of the few foods he would eat without issue, and now it’s another food he won’t eat. This is a challenge many parents face, not just the parents of a child with autism, but any parent who happens to have a picky eater. It can be frustrating and overwhelming, both for you and your child. One of the reasons I find it so difficult is that Elijah cannot tell me what he does and doesn’t like. Most of the time I don’t know he doesn’t want it until I’ve already made the food, and he refuses to eat it. He’s only 3, so I can’t exactly force him to eat the food or say, “You either eat this or nothing.” He just won’t understand that. One thing I have noticed is if he can initially try the food on his own, without prompting, he will try it. He’s a stubborn kid, and getting him to even be willing to try a new food is difficult. But there have been times he has surprised us. Recently we were at a restaurant and ordered fried clams as an appetizer. We had no expectation that Elijah would eat those. When they came to the table he pulled the bowl to himself and just started eating them. After a look of shock, we were mostly just proud of him for trying something new. Now, fried clams don’t exactly scream healthy food. This is where we continue to struggle with him. Vegetables? Nope. He won’t touch them. So we had to figure out something, otherwise his entire diet would consist of Mac n’ cheese, French fries, and fruits (when we can get him to eat them). I started buying the baby puréed vegetables and mixing it into his macaroni. Surprisingly, it worked! He didn’t seem to notice a difference and he got a serving of vegetables. It’s only a small victory, but as I’ve said, it’s good to celebrate those little successes. I know it can be tough raising a picky eater, but think of it as one challenge and work with your child to figure out some solutions. Why are kids picky? It can be any number of reasons and finding out why could help. Elijah doesn’t like to eat foods he doesn’t recognize, and he is also sensitive to textures. So we avoid foods that we know he doesn’t like the feel of and let him be the one to choose to try a new food. For the time being, while he is nonverbal, this seems to work for him. Of course, we always still attempt to get him to try other foods, but he is more willing to eat the food if he sees it and makes the choice to try it. 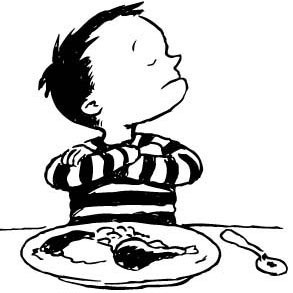 Stay strong in those stressful moments and remember that you may have been a picky eater when you were a kid, and maybe it’s just a phase for them! I always just tell myself that I know I’m doing the best I can, and that’s really all we can do. What a great idea mixing the puree veggies with the macaroni! Glad to hear it works with Elijah.